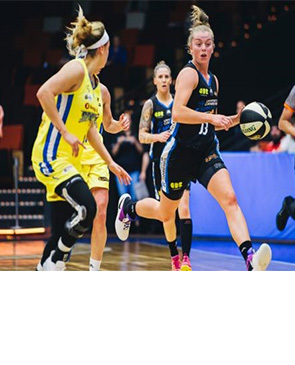 The Canberra Capitals entered the Women’s National Basketball League (WNBL) in 1986, having won the Australian Women’s Basketball Conference the previous year. The Capitals teams origin extends back to participating in the Australian Capital Territory local basketball competitions in the early eighties and then as the ACT’s representative team in the then Australian Women’s Basketball Championships. The Canberra Capitals have been awarded the Keys to the City of Canberra on 3 separate occasions, in 2000, 2002 and 2007 and will forever be etched into the foundations of the Canberra Community having their legacy immortalised with an official plaque on the ACT Walk of Honour in 2012.